A general understanding about the nunchucks is that these are "fighting sticks" which are perfectly used within certain kinds of martial arts; not to mention the fact that the nunchucks originated in the Japanese territory of Okinawa. Typically, one pair of nunchucks is also known as the nunchaku which comprises two short-sized sticks which are joined via a rope or chain.  If you believe that you have a hidden ninja inside you who wants to get his/her hands on the amazing nunchucks, then this article will guide you through all of the essentials that one ought to know with regards to the nunchucks. As mentioned earlier, the term nunchucks refers to a well-known and quite popular martial arts weapon which originally hailed from Japan. The origin of the nunchucks is quite a myth and one has to go through various Japanese and other tales in order to determine the original origin of the nunchucks. By following a number of Japanese tails, we will be able to understand and acknowledge the mastermind behind the inventive creation of the nunchucks. 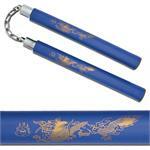 Today, the nunchucks are worldwide popular in terms of being effective and amazing martial arts weapons. However, regarding the origin of the nunchucks, it is widely believed that the initial form and design of the nunchucks serves as an agriculture tool in ancient China. Legend says that the agricultural tool version of the nunchucks comprised two sticks which were connected like a rice or wheat flail. Later on, this agriculture tool was introduced in other countries, such as India and Japan. There are a number of facts which point towards China as being the origin of the nunchucks. One of such legends reflects the tale of the first Chinese emperor Jiu Hong Jun of the Sung dynasty. The emperor happened to lose a battle against a Mongolian defeater; this instance dates back to the 10th century China. Consequently, Jiu-Hong Jun was forced to find shelter in the mainland Chinese territory where he dwelled in the neighborhood of a village. The emperor ordered his soldiers to assist the villagers with agriculture as the villagers were hospitable enough to feed and care for them. During one of his visits to the fields, the emperor noticed the villagers using the agriculture tool which resembled the nunchucks as an assisting tool for harvesting the crops. The initial form of the nunchucks hence comprised of two stick of differing lengths which were connected together with the help of a rope made of horsehair and rice hay. The great emperor Jiu Hong Jun thought out possibilities of using this tool of the nunchucks in his favor as an effective fighting tool. The emperor even thought about the possibilities how he had to train the infantry and use the earliest forms of the nunchucks against the Mongolians. Subsequently, the first Chinese emperor of the Sung dynasty (Jiu Hong Jun) proceeded to borrow the flail and developed certain fighting techniques which proved much successful in the battlefield later on. The emperor's infantry later practiced the fighting techniques with the earliest versions of the nunchucks on the battlefield while using it against the cavalry. History states that the emperor Jiu Hong Jun developed at least 18 fighting techniques for the maneuverability of the earliest version of the nunchucks. After successfully defeating the Mongolian army, the emperor along with his soldiers invented a new version of the nunchucks which was shorter than the previous one. According to the Chinese tales, the later version of the nunchucks resembled today's version of the nunchucks which proves that these were essentially effective fighting tools of that time. Did you know that some Chinese people call the nunchucks as "Shuang chin gun" which translates into "flail made of two parts"? Nonetheless, there are also some other Chinese regions which refer to the nunchucks as "nng-chat-kun" which translates into "one pair of attached sticks". In some of the Japanese parts as well as in some of the southern Chinese regions the nunchucks are known as the "shuang/ iang jie gun". There are some ancient myths which indicate that the fighting techniques of the nunchucks were transferred from the Chinese regions to the adjacent countries, such as Japan, India, the Philippines, Korea, and Mongolia. Since then the popularity of the nunchucks impacted the whole globe. According to the historical myths, it was only through the teachings of a number of Chinese masters that the defensive and fighting techniques of the nunchucks were introduced in Japan somewhere around the 14th and 15th century. Some of the historians argue that the spread of the nunchaku fighting techniques ought to be attributed to a famous Chinese General known as Chan Yuan Bin. This General was, in fact, an excellent skillful master of the practice of the martial arts. The Chinese general was forced to flee from China around the 17th century due to the execution of the then Manchu dynasty. He fled to Okinawa, which is known as Tokyo today. Legend says that apart from introducing the Japanese to the effective use of the nunchucks, General Chan also taught certain fighting skills which did not require nunchucks, such as "jiu-jitsu". The nunchucks are known in a variety of different terms and terminologies, such as "chain sticks", "karate sticks", Chuka sticks", "Nuchiku", "chako", and the "nunchaku". The Japanese version of the nunchucks differed from the Chinese version in a way that the shape of it was initially octagonal. Some of the earliest versions of the Japanese nunchucks are manufactured of hardwood stick joined together with the help of some rope which was manufactured by combining horsehair and rice hay. Some of the earliest versions of the nunchucks had their edges chained with iron or with tin. Some of the martial arts experts hold the opinion that the martial arts with the nunchucks were developed and taught in Japan; therefore, the nunchucks are typically connected with the famous martial arts, such as karate. Furthermore, it is also believed that the karate master "Gichin Funakoshi" was the man behind spreading the fighting techniques of the nunchucks in Japan; in fact, it was him who also introduced the famous "shotokan style". What does the Law say about the Nunchucks? Similar to the amazing fighting tools of brass knuckles, the nunchucks are illegal in many states of the United States as well as a number of countries around the globe. We have seen the nunchucks making frequent appearances in movies, such as "Dragnet" and the "Ghost World"; not to mention the martial arts movies of Bruce Lee. Some animated cartoon series, such as the "Ninja Turtles" also show nunchucks as effective fighting tools. In the real world, the nunchucks have been notoriously connected to street gang violence and brutal fights; subsequently, the nunchucks have been banned in many states and countries as quite a lot of people do not realize the dangers which nunchucks could possibly exhibit if used with brutality. The United States has a differing opinion with regards to the legality of the nunchucks; for instance, the what nunchucks are completely and fully banned in some states; whereas, there are other states that allow the personal possession of the nunchucks. Some of the states which have banned the nunchucks include the state of California, Arizona, Massachusetts, and New York where the nunchucks have been categorized as "chukka sticks". However, it is important to note that the state of California does permit the use of nunchucks during the classes of martial arts. Outside of the American state, there also some other countries that have put a ban on the possession and carrying of the nunchucks, such as the Canadian state, Germany, Spain, and Norway. Most interestingly, Hong Kong grants permission for carrying and owning the nunchucks only to the professional martial arts instructors who, however, have to get a specific license from their respective police department. What are the dangers Associated with the Nunchucks? Did you know that the injuries from the nunchucks can be quite brutal and dangerous? 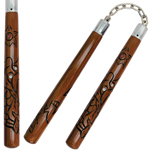 The sticks of the nunchucks are made of super-hard material, such as hardwood, metal, and even hard-plastic. These hard sticks are then connected or joined with a chain or a rope. The chain or rope is possibly made of metal or hard leather. If one knows how to maneuver the nunchucks in an effective and accurate manner; they are able to strike their opponent or an object with a brutal force while exhibiting higher velocity. Therefore, the effective and brutal use of the nunchucks can cause serious injuries, such as a broken nose, broken bones, and other serious concussions. 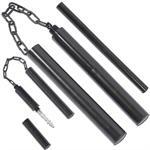 The Nunchaku are effectively designed in a way to serve as a brutal lever/ fulcrum. The wielder of the nunchucks can wreak havoc while holding one stick of the nunchucks with one hand; whereas, the other stick is used for attacking the opponent. Both sticks are joined together and with the right skilled techniques, the result can be a mess which includes serious nunchucks injuries and cuts. Before you purchase a pair of the amazing nunchucks, it is important to check with the local laws with regards to the legality of possessing, carrying, purchasing, and wielding the nunchucks. In fact, there exist some federal as well as states laws that people ought to understand with respect to the nunchucks. If you are planning of carrying the nunchucks or, you might also accidentally become the victim of the nunchucks injuries during a fight; whatever the case is you ought to plan and visualize your possible legal strategy regarding the nunchucks. Some of the legal strategies might include the possibilities of recovering damages in case you or your family and friends have become the victims of nunchucks attacks. Also, the possible jail sentence, in case, you have been discovered carrying the nunchucks in an illegal way (in case your locality doesn't permit you to own and wield the nunchucks). However, it is always recommended to never break the laws and check in with your local police department before purchasing any kind of self defense weapon. Are the Nunchucks an Effective Fighting Tool? Without a doubt, even an untrained wielder of the nunchucks is capable of imparting utmost damage with the use of the nunchucks. The nunchucks are effectively designed to boost one's power in a similar way as the brass knuckles boost and magnify one's punching power. The nunchucks can be carried in a concealed manner as well without drawing much attention as in the case of guns and knives. Bruce Lee and the Ninja Turtles have caused a number of kids to try learning and imitating the fighting techniques which include the maneuverability of the nunchucks. It is very easy to cause unnecessary injuries and accidental cuts if the nunchucks fall into the unskilled hands of inexperienced wielders of the nunchucks. For this very reason, the nunchucks have been banned in most of the states inside the American continent. Not to mention the fact that if the nunchucks fall into the wrong hands, the inexperienced wielder of the Nunchaku might also accidentally crash his/her own skull and nose. Therefore, it is always recommended to get a padded-version which is peculiar to the Nunchaku trainers before entering the dragon while wielding the real nunchucks. When it comes to nunchucks, many people tend to be only familiar with Bruce Lee and his methods of wielding the Nunchakus. In fact, many of the Bruce Lee fans are obsessed with the idea of playing table tennis with the help of nunchucks. It is important to mention here, that it might be possible to play table tennis with the help of nunchucks only for a few hits as the shape of the Nunchaku is round which is also the shape of the tennis ball which makes it impossible to hit the ball consistently.